Pictured L to R: Newberry Mayor Foster Senn, Newberry College Student Government Association president Rae Knobloch ’16, Foundation Board of Visitors incoming president Jean Haggard ’64, former Newberry College president Dr. John Hudgens ’60, presidential spouse Dr. Sandy Scherrens, Newberry College president Dr. Maurice Scherrens, Trustee Emeritus Mike Reid and his daughter-in-law Angela Reid ’02, vice president for Academic Affairs Timothy Elston, Board of Trustees chair Hap Pearce ’67). NEWBERRY, S.C. – Newberry College today broke ground on its Speers Street School Revitalization Project, signaling the launch of primary construction on the former elementary school. Speers Street School (originally the Pope School) has been a Newberry landmark for more than 100 years, but the one-time community school stood vacant for many years. The College, with support from Newberry residents Mike and Denise Reid, purchased the property in January 2012 with the intent of creating a regional center for leadership development in the field of Teacher Education. The renovated Speers Street Complex will house all undergraduate Teacher Education programs as well as education-related master’s degrees that will be developed over the next several years. The complex also will house the Stella Senn Williams GROW Program (Growing Teachers through Resources, Outreach and Wisdom) focused on supporting new in-service teachers, and the RETAIN Center of Excellence (Retain Teachers through Action, Innovation and Networking) focused on increasing teacher retention in South Carolina through professional development, mentoring and support for teachers in their first three years. In preparation for major renovations, the College last fall replaced the building’s aging roof and began preparing the interior space for construction. With 80 percent of the necessary funding now in place for the $2.5 million project, the College is ready accept construction bid with plans to begin construction in September 2015. The College expects to have the building operational by September 2016. The renovation will include the replacement of all doors and windows and a complete renovation of the interior space to create classrooms, learning laboratories, faculty offices and conference rooms. Classrooms and labs will be outfitted with instructional technology that teachers will typically encounter in their future school settings and will be equipped with furniture that will provide maximum versatility in classroom configurations. 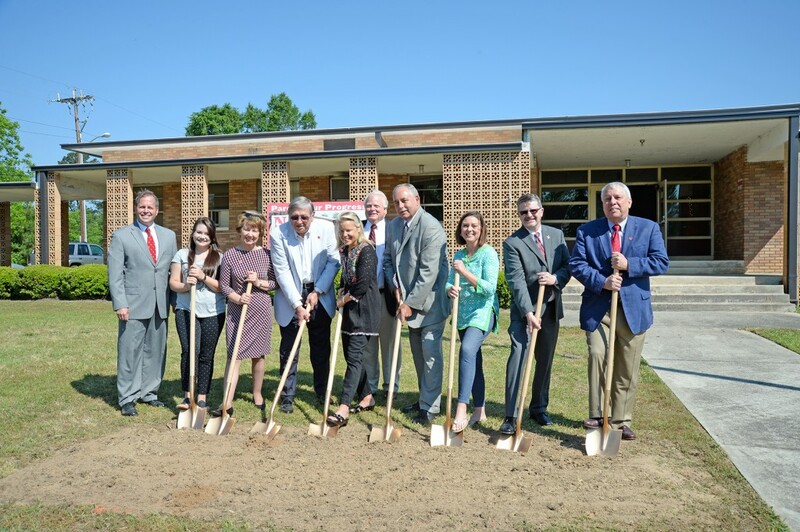 The Speers Street School Revitalization Project is the first of seven fundraising priorities that comprise the $35 million “Scaling the Summit” capital campaign that Newberry College kicked off in October 2014. Campaign priorities are divided into two phases with Annual Fund and Endowment ($5M) spanning both phases to support operational needs and emerging opportunities. Speers Street Complex ($2.5M) – House the Teacher Education department, allow for expansion to offer graduate programs, house education-focused grant-funded programs. Science, Nursing, Art & Math Building Expansion ($8.0M) – Expand and modernize existing laboratories and classrooms, update classroom technology; new construction to add state-of-the-art laboratories and classrooms. Center for Athletic and Academic Achievement ($8.0M) – New construction to include a stadium, press box and field house with classrooms, locker rooms and updated training facilities. Campus Life Complex ($7.5M) – Create a multi-building complex to support student activities, dining and recreation. Renovations will be made to Eleazer Arena, MacLean Gymnasium, Kaufmann Hall dining facilities and the O.L. Casey student center. Wiles Theatre and Wiles Chapel ($2.5M) – Update theatre performance spaces and remodel to improve visibility and accessibility of the space. Update Wiles Chapel to improve worship experience and related programming. Smith Road Athletic Complex ($1.5M) – Update existing facilities to extend hours of use and improve the spectator experience. Upgrades will include field lighting, expanded bleacher seating, parking and landscaping improvements and new field house with concessions, locker rooms, restrooms and offices. Jean ’64 and Charles ’63 Haggard are long-time supporters of Newberry College and provided one of the lead gifts to the Speers Street project. The Department of Teacher Education is active in the community and throughout the state, offering a variety of programs, courses and symposia designed to mentor and support new classroom teachers and veteran teachers alike. The College continues to partner with surrounding districts on professional development with future plans to include summer enrichment programs for qualified K-12 students. Newberry College’s Teacher Education program is accredited by the National Council for Accreditation of Teacher Education (NCATE) with reaffirmation granted in 2011. It remains one of South Carolina’s most highly regarded teacher education programs and recently enjoyed its highest enrollment in College history.